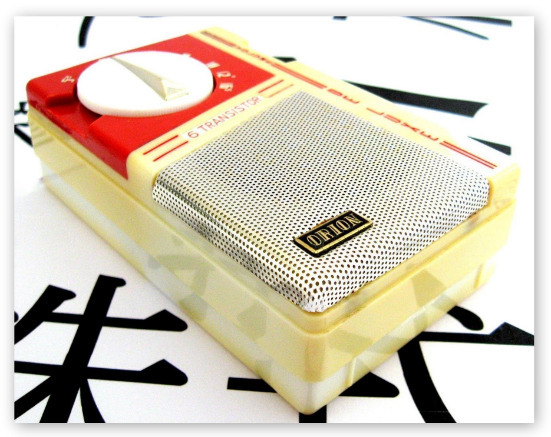 This fantastic Orion OTR-6A was manufactured in Japan by Orion Electric Co (オリオン電機株式会社 Orion Denki Kabushiki-Gaisha) circa 1959. 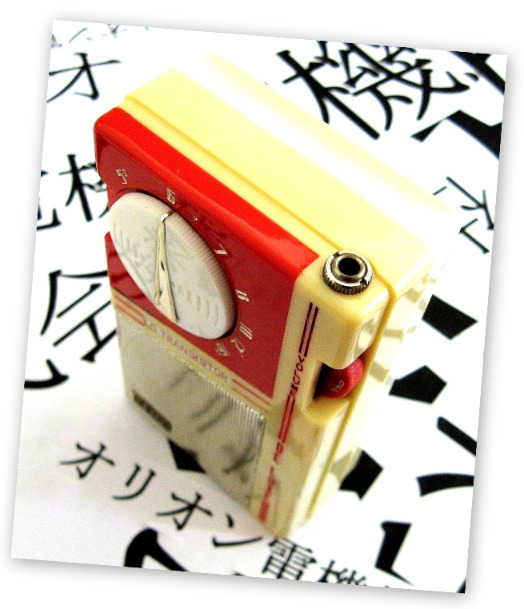 It is most famous for being a copy of Sony’s second shirt pocket transistor radio, the TR-65 from 1958. 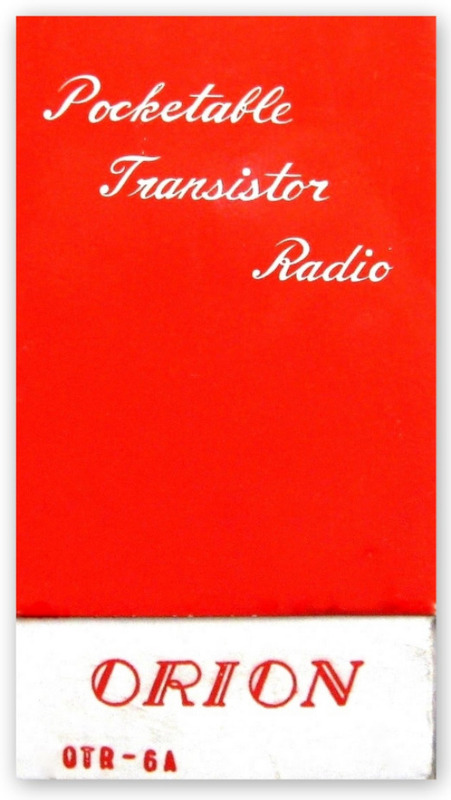 Sony was not happy about having their little TR-65 copied hence they cut short production and now the TR-65 is a very rare radio indeed. This Orion is not all that common itself. 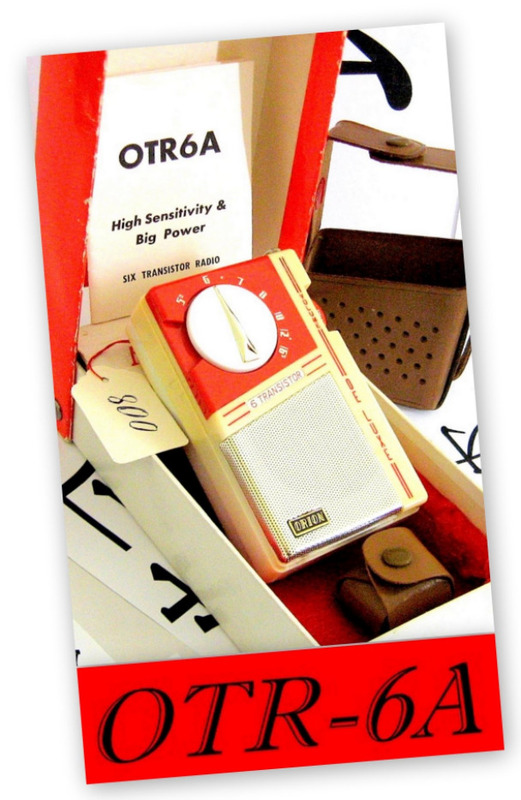 This radio was also marketed as a Royal OTR-6A and as a 'Hilton' with the model number TR-6A. It features a great looking ‘jet age’ tuning dial and is unusual for the use of two different colored plastics on its cabinet. This manufacturing practice was uncommon but quite effective. The cabinet is quite busy with plenty of detail. 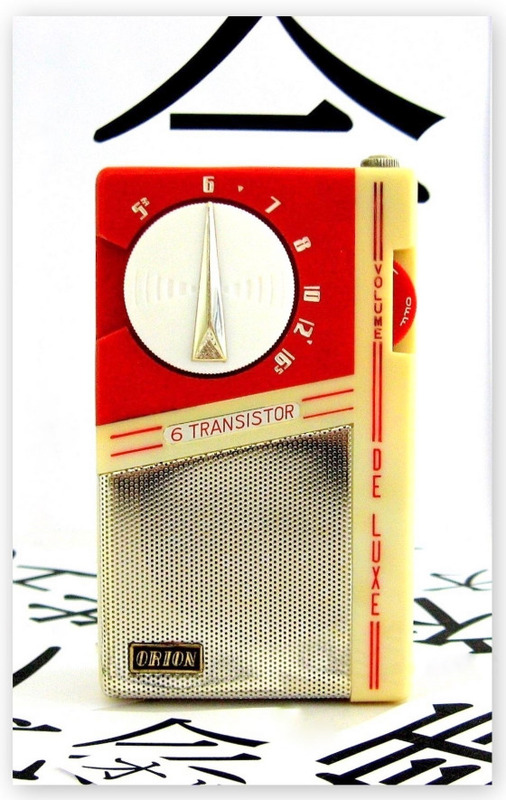 I have seen a variant of this radio with the ‘Orion’ badge positioned where it says ‘six transistor’ and ‘six transistor’ positioned where ‘de luxe’ is written vertically on this model. 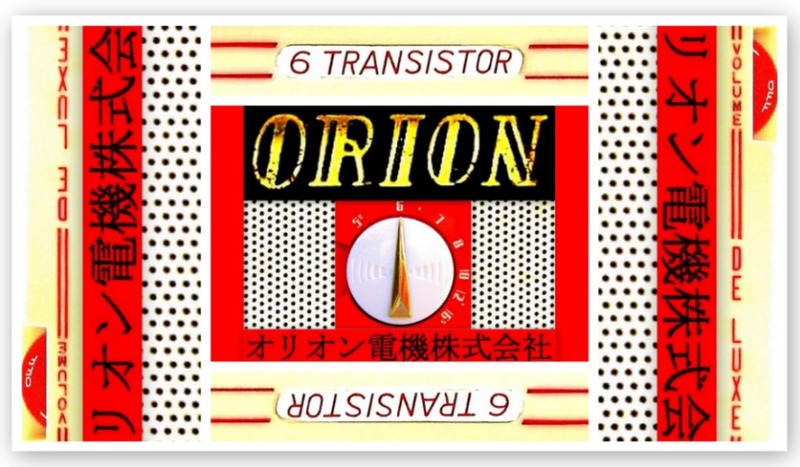 The 'ORION' cloisonne' badge found on the speaker grill is actually rarer than the radio. Many of these Orion’s have lost their badge over the years and this is one of the few that still retains it. This sticky problem was due to aging of the glue used to hold the badge to the speaker grill…. Fifty year old glue isn’t the best adhesive I might add! Most of these Orion’s seem to have a problem with yellowing of the cabinet. Luckily the yellowing on this example is not patchy and is actually quite even. 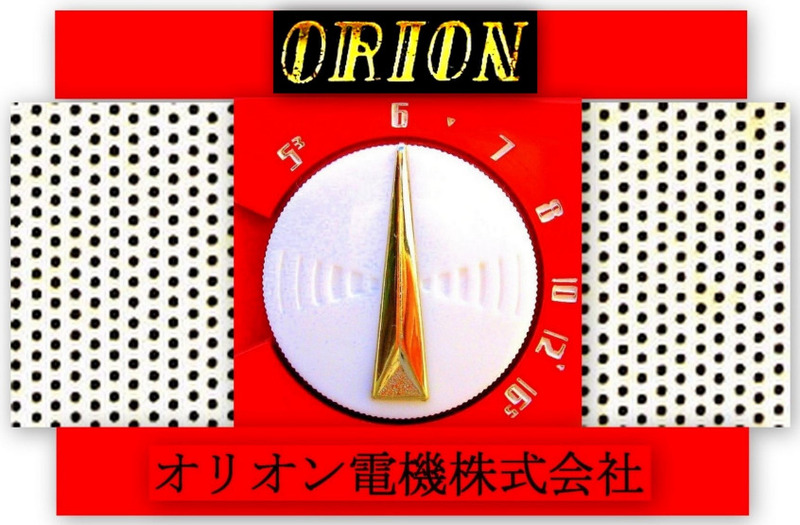 Orion Electric Co., Ltd. (オリオン電機株式会社 Orion Denki Kabushiki-Gaisha) was established in 1958 in Osaka, Japan. 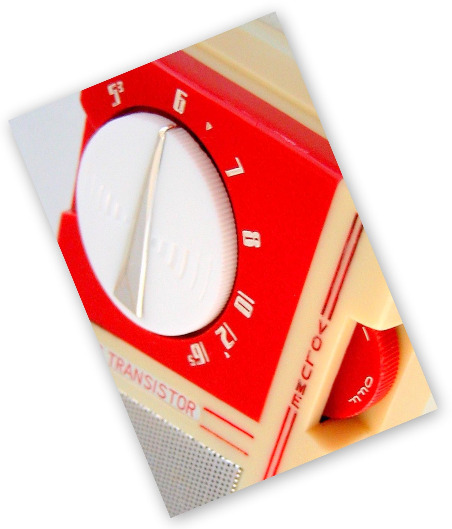 They initially manufactured transistor radios, radio cassette recorders, car stereos, and music centers. 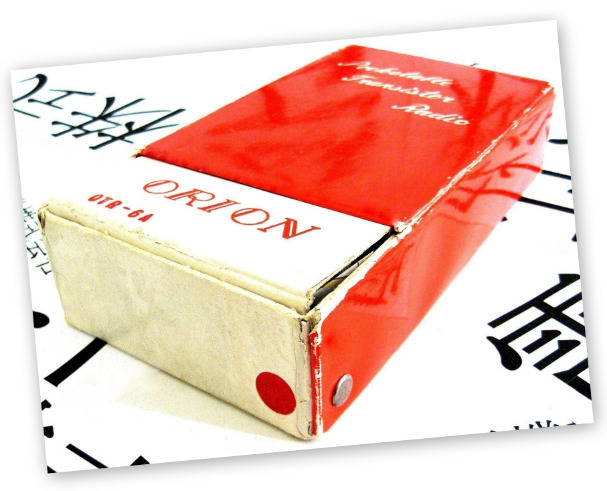 In 1967, Orion Electric moved to Fukui prefecture in Japan, where it still has its head office today. This splendid Orion OTR-6A came to me all the way from Greece. 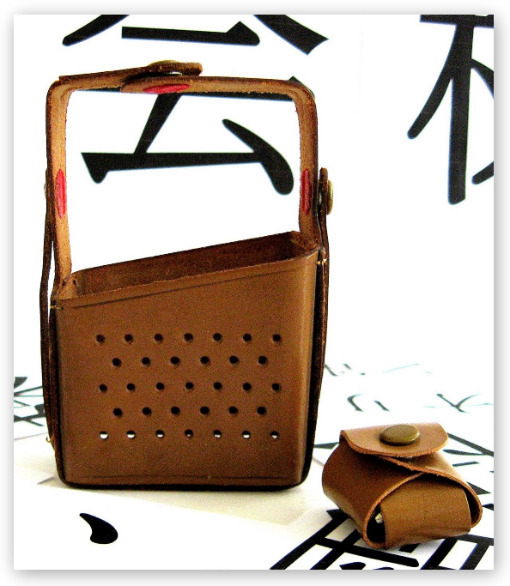 It comes complete with its original gift box, leather carry case, leather earphone case, earphone and Instruction Manual. 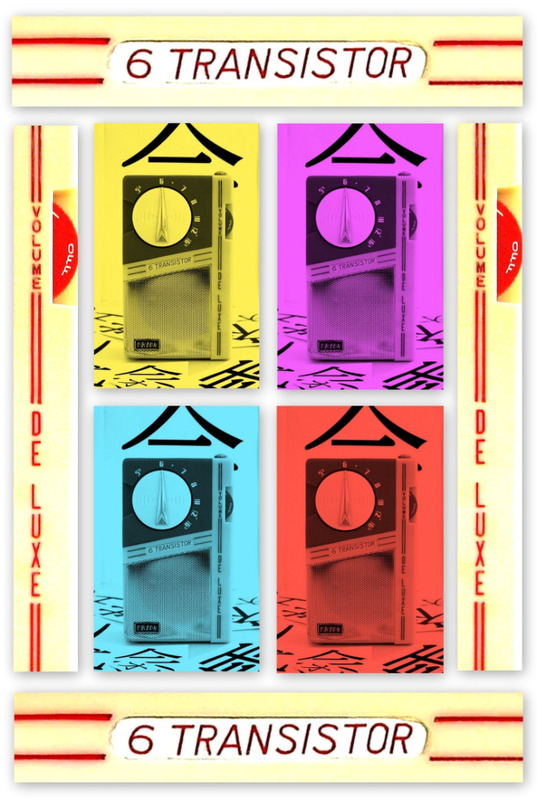 And it still has the original price tag of 800 Drachmas! 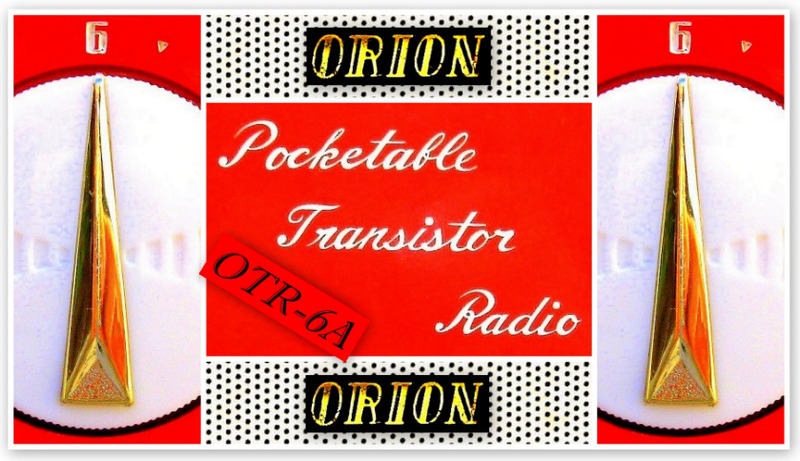 This Orion OTR-6A is devoid of a makers sticker. 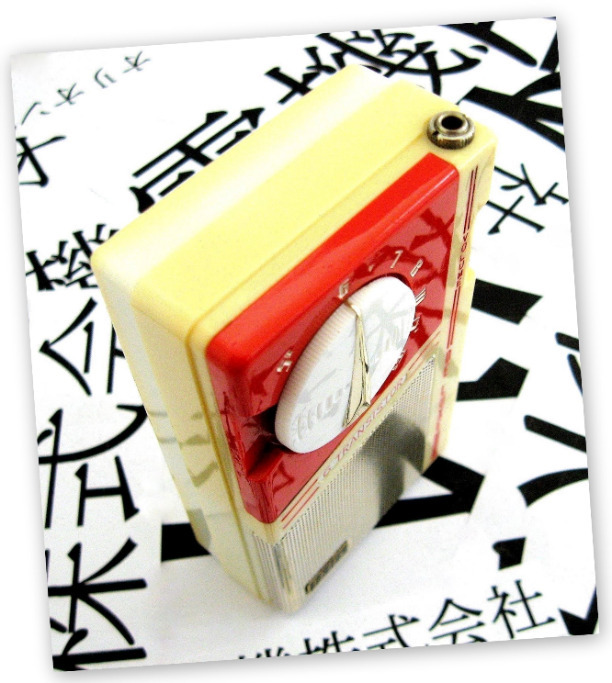 It uses 6 Mitsubishi transistors.